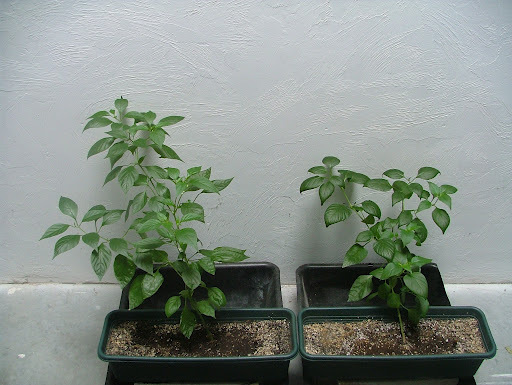 These pepper plants were grown under a sky light in a poorly ventilated garage last summer. Day time temperatures averaged over 85 degrees. 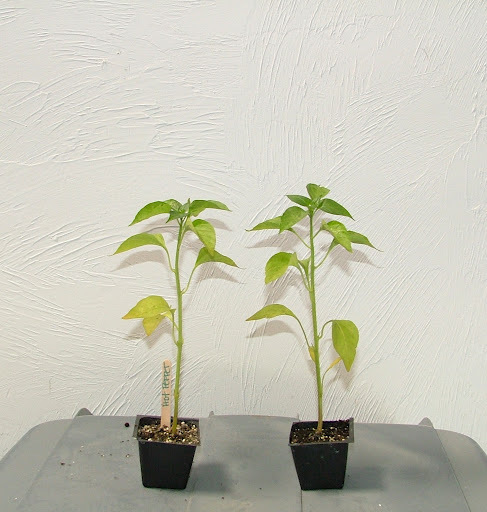 The plant that was plugged in using Earth & Grow grew much healthier, producing more branches and dozens more flowers than the control, while showing little if any signs of heat stress throughout the 8 weeks. 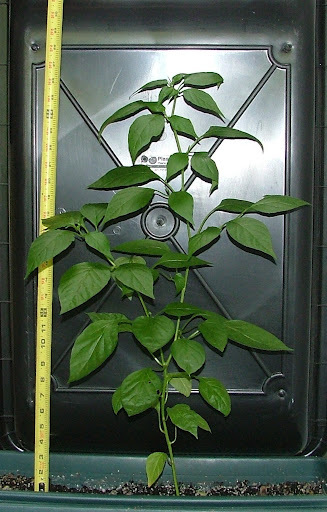 The pepper plant that was not connected to the Earth was clearly affected by the heat and lack of air flow in the garage. It produced dull, wilted leaves and stunted growth. 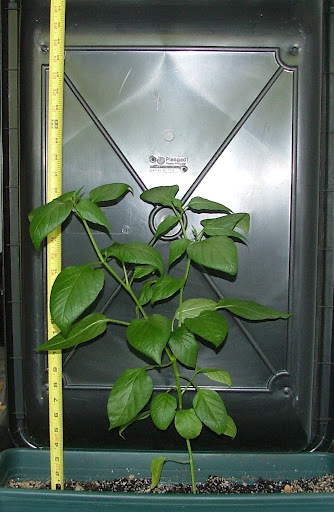 This experiment clearly demonstrates the benefits of reconnecting a plant to the Earth when grown in an indoor environment.